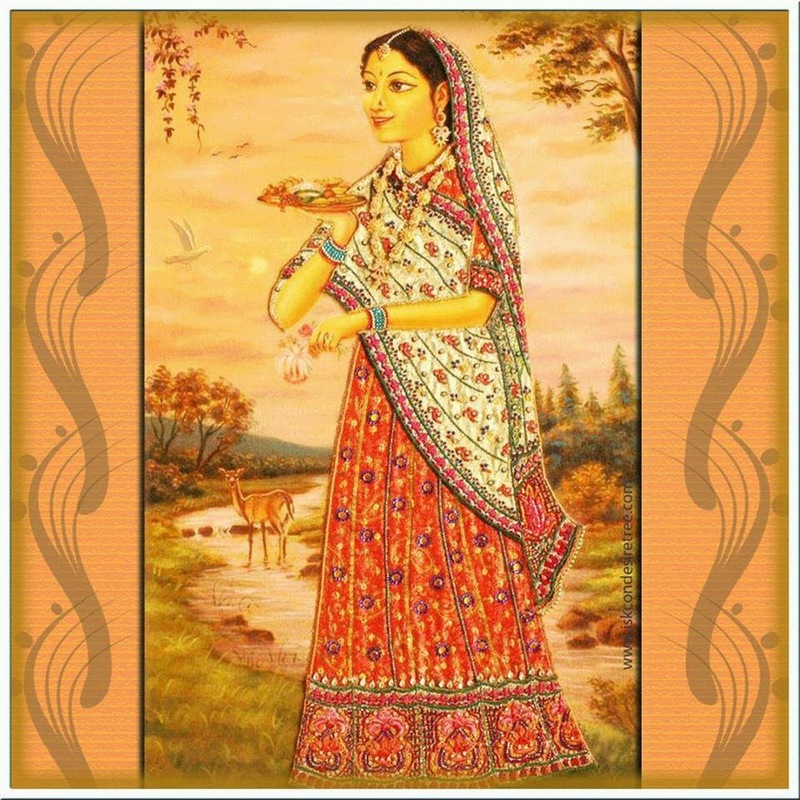 Indulekha-sakhi has a tan complexion and pomegranate-colored clothes. She displays a hot temper and contrary nature. Indulekha knows the science of palmistry and charming snakes by mantras. She is expert in stringing necklaces, gemology and weaving cloth. Indulekha carries auspicious messages that create Radha and Krsna’s mutual attraction, and she is fully aware of Radha-Krsna’s confidential secrets. Indulekha is the leader of all the sakhis that present ornaments and garments to the Divine Couple. An excerpt from Appreciating Sri Vrndavana Dhama by Mahanidhi Swami.